John Sebastian of The Lovin’ Spoonful was the headliner for the inaugural Pocono Folk Festival Sept. 15, 2018, in Delaware Water Gap, PA.
Singer-songwriter and Rock and Roll Hall of Famer John Sebastian was the headliner for the inaugural Pocono Folk Festival Sept. 15 in Delaware Water Gap, Pennsylvania, and he reminded us – as he has for more than 50 years – just how good his band The Lovin’ Spoonful was in the mid- to late-1960s. Sebastian is a storyteller, with both his songs and with his in-between-song banter with the crowd, and he brought his A Game to the first-ever Pocono Folk Festival. One of my favorite Sebastian stories that evening was about Spoonful co-founder and lead guitarist, Zal Yanovsky. Sebastian said that Yanovsky loved to suggest ideas for new songs, but he didn’t like to write them himself. One of those ideas eventually became “Did You Ever Have to Make Up Your Mind,” written by Sebastian and released as the second single (the first being the title track) off on the Spoonful’s debut album, “Do You Believe in Magic” in November 1965. “Did You Ever Have to Make Up Your Mind” reached No. 2 on the U.S. Billboard Hot 100 singles chart. The single “Do Believe in Magic” got to No. 9 on the singles chart. But that’s not my favorite Zal Yanovsky story. Around that same time in 1965, right before The Lovin’ Spoonful released its first album, Barry McGuire had a hit with “Eve of Destruction” in August 1965. McGuire’s circle of musician friends reads like a Who’s Who of 1960s folk-rock royalty then, including Denny Doherty and Cass Elliot, who would go on to star with The Mamas and The Papas; and Sebastian and Yanovsky of The Lovin’ Spoonful. 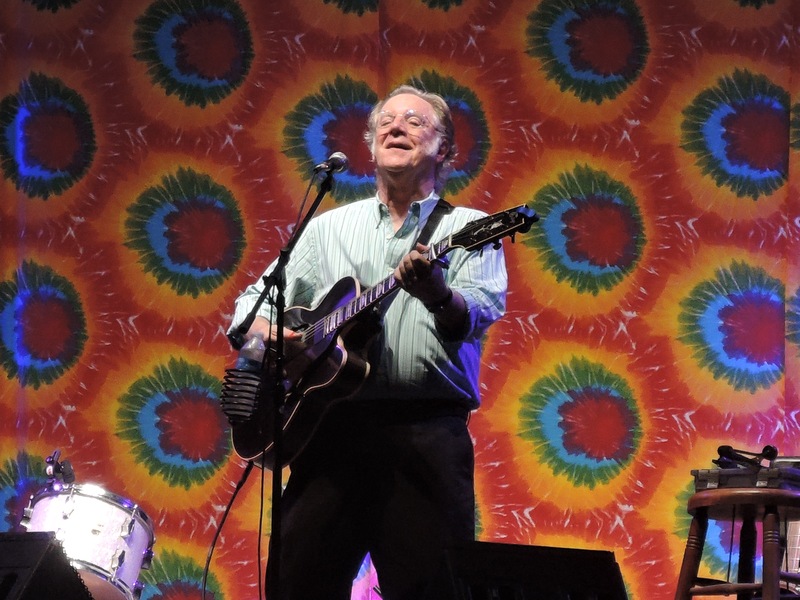 But McGuire was the only musician with a steady gig as a member of the New Christy Minstrels, and as such, he was the go-to guy for supplying the marijuana for his group. The rest were just singing for nickels and dimes wherever they could find them and really couldn’t afford the drugs. According to McGuire, as he told me in an interview that was featured in “The Vinyl Dialogues Volume II: Dropping the Needle,” one evening after a New Christy Minstrels’ show at the Latin Quarter, he was looking for a cab to grab a ride to visit Doherty, who had a room at the Hotel Earle in the Washington Square area of New York City. At one time, the Hotel Earle was considered to be in one of the best residential areas of the city. But by the 1960s, the hotel had declined considerably and had a reputation as a seedy boarding house that was home to several musicians trying to make the big time. 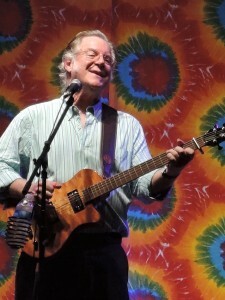 In addition to Doherty, the hotel had played host to Bob Dylan and Joan Baez, John Phillips and Michelle Phillips – the other half of The Mamas and The Papas – Roger McGuinn of the Byrds, Barbra Streisand, and the Rolling Stones, as well as comedians Phyllis Diller and Bill Cosby and writers Ernest Hemingway, Dylan Thomas, and P.G. Wodehouse. But that evening, McGuire found his regular marijuana dealer in a quandary. The guy needed some ready cash in a hurry and he offered McGuire a great deal on a half-kilo of marijuana. “I thought, well, I can’t pass this up. So I bought half a brick, put it under my arm and down I went to Denny’s place,” said McGuire. When he got there, McGuire was uncertain how to break open such a large amount of marijuana without spilling most of it on the floor. Yanovsky was there and suggested turning the coffee table upside down, creating something of a trough, which would contain the grass if it spilled. The musicians didn’t waste any time indulging and were all smoking and laughing when a few minutes later, in walked Sebastian. He had brought with him the first 12-string Rickenbacker guitar that any of them had ever seen. Yanovsky was already known as a killer guitar player, so naturally, he couldn’t wait to try out the new instrument. McGuire decided to play it safe, so without telling anyone he climbed out the first floor window, grabbed the first available cab and headed home. The next night, it was pretty much the same routine. McGuire did the Minstrels’ show at the Latin Quarter, then took a cab over to Doherty’s place at the Hotel Earle, ostensibly to see who from the previous night’s party had gotten arrested. 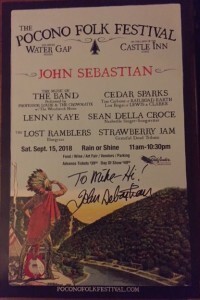 The official poster of the first-ever Pocono Folk Festival, signed by John Sebastian. “He didn’t even know I was gone, twenty-four hours later,” said McGuire. It’s a story that McGuire has told many times during his performances. And it’s those friends and the times they had that would become the inspiration for the autobiographical hit single, “Creeque Alley,” written by John Phillips and Michelle Phillips, that hit No. 5 on the U.S. Billboard Pop Singles chart in 1967. The small, intimate crowd at the Pocono Folk Festival showed its appreciation for Sebastian with a warm response and by singing along with the songs that they knew. I got a chance to meet Sebastian at the merch table after his set. 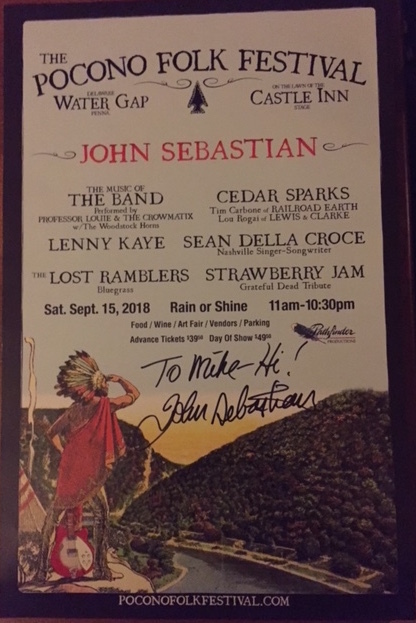 He was as friendly and engaging as he was on stage and I got him to sign an official Pocono Folk Festival poster, which will look real nice in my music room. 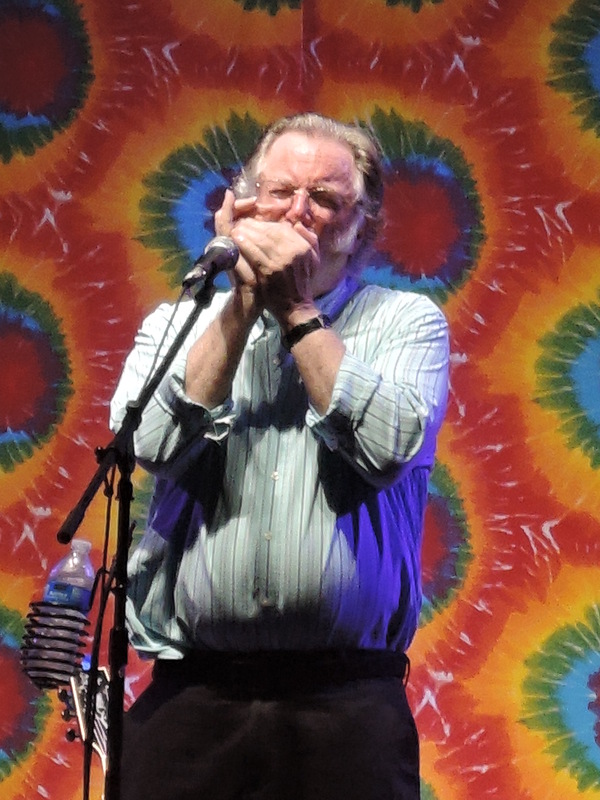 The entire festival lineup provided a pleasant and laid back day of music. Organizer Jim Della Croce is to be complimented for having the vision to put the festival together and I hope he can grow it in the coming years.